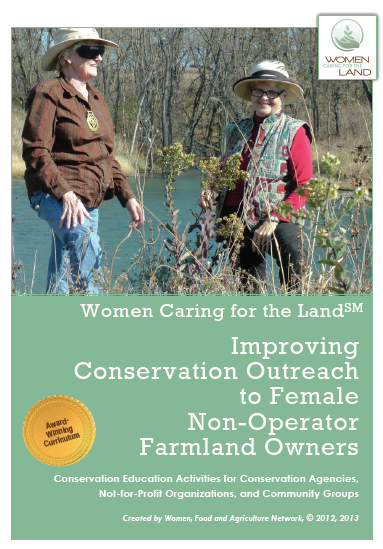 Women Caring for the Land serves women farmland landowners who are interested in learning more about conservation. The program is in increasing demand among both women landowners and agency partners such as NRCS and state departments of natural resources. “Learning circles” are peer-to-peer meetings in which every women’s knowledge and expertise is of value. You are the expert on your own farmland — even if you don’t have all the answers yet! At our meetings, we spend time asking each woman to tell the story of her farmland, and her goals and dreams for managing and passing it on. This portion of the day is women only. We find that many women are more likely to feel most comfortable sharing in a group of peers. Carolyn grew up on a farm in west central Iowa, deeply aware from the beginning how a farmer’s livelihood is dependent on weather, the market, your health, and relationships with your neighbors and family. Now, at age 61, she has owned Iowa farmland for five years and is starting to see her classmates and friends begin to inherit and buy into family farms, too. The Women, Food and Agriculture Network’s Women Caring for the Land program recently held its’ 200th meeting. More than 3,200 women have attended a Women Caring for the Land meeting. The peer-to-peer meetings intend to bridge the gap in conservation knowledge and implementation for women landowners. Women now own or co-own close to 50% of the farmland in the US. Donna Solly’s grandparents were not big farmers. They worked very hard to purchase the land Donna grew up on in Princeton, Kentucky. From a young age, Donna learned the importance of hard work and showing pride in your land through maintenance and conservation. The land provided the majority of the food her grandparents ate. 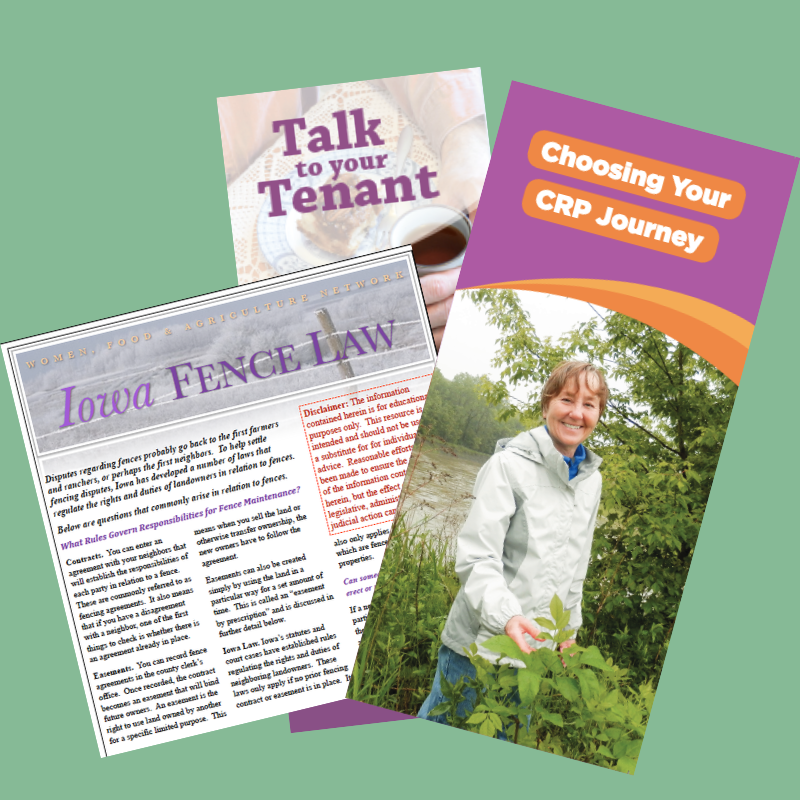 Our award-winning manual is intended to give users an overview of the rationale and methodology for targeting outreach to non-operator women landowners, particularly those 65 and older who now control a significant percentage of US farmland. It also provides a number of conservation demonstration activities, which range from very simple to more complex, both in concept and execution.